Creating new Ionic app I am creating new app with sidemenu and using Ionic generator command to create 2 pages and 1 service. We need to focus inside the src/app/app.module.ts. So open the file and replace everything with below code. Now open the src/app/app.component.ts and put rootPage as LoginPage instead of the default home page. If the auth.service returns that the user is allowed to login we set our root navigation to the HomePage which stands for the logged in area of our app. The class is ready, now the view. 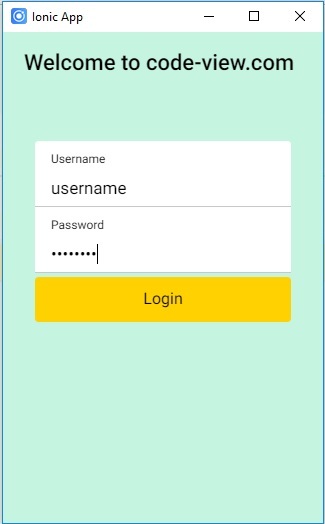 Now, i am going to create ionic html controls for the login with 2 textbox and a button. Here is simple code that you need to add in your login page.